Home Uncategorized Is a Refurbished Canon 70D Camera Worth the Investment? Is a Refurbished Canon 70D Camera Worth the Investment? If you are planning to step into the shoes of a photographer, then be prepared to shell out a large sum of money. This, of course, is only possible if you have a pocket that is deep enough. But do quality cameras really have to come at a steep price? For those on a budget, doors are always open to the refurbished market. Just because the equipment has changed hands doesn’t necessarily mean that they have run out of style. We have compiled a small step by step guide on how you can easily buy great cameras, such as the Canon 70D refurbished, online. 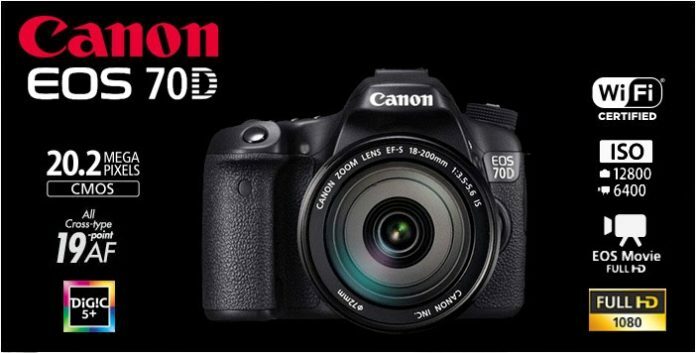 Where Do I Look for Canon 70D Refurbished Deals? A lot of original manufacturers do offer great refurbished deals, a lot of people aren’t yet comfortable with the prices yet. This is where e-commerce websites such as Amazon come to your rescue. Usually, you will find a lot of great deals at such online stores – on a good day you can even expect to get as much as 30% off. The price is not all. There are other added benefits too. For instance, Amazon guarantees authenticity. This means that nobody can tamper with individual parts (replace the camera lens with a cheaper variant, for example), and then sell them online. To combat such practices, Amazon even warrants all parts individually. Before the time of purchase, you can even review the repair work that has been done on your product. Monetarily Speaking, How Much Money Will I Be Saving? A few “experts” might tell you that you won’t actually save a lot of money by going in for a refurbished product. Well, let’s do some math. 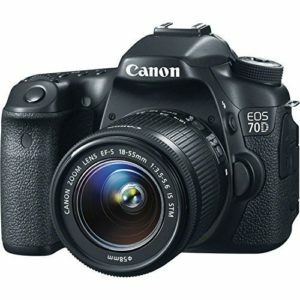 A brand new Canon EOS 70D costs anywhere above $900 in the United States. A bit of research on some popular e-commerce website should unearth deals that range around $700 – $800. That’s easily 11 to 14% of the money saved. With the money you saved, you could easily invest in a quality Tripod and a bunch of telephoto lens to get started on your photography journey. Let’s face it, if you are investing on refurbished products, you’ve already established that money is essential to you. So it only makes sense that you weigh the pros and cons of buying a refurbished camera. Let’s start with the advantages of doing so. The Savings – As we mentioned earlier, you’re going to save money that you can use to invest elsewhere. The pricing is the biggest benefit of opting for refurbished products. 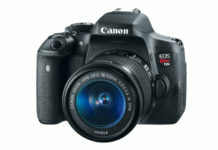 Discounts run not only on the camera body but on the lenses and other accessories such as tripods and SD cards as well. Although pre-owned, even refurbished cameras come with warranties that will protect you from accidental damages and manufacturing defects. So you can have peace of mind using the camera. Let’s move on to some disadvantages now. Your Camera Isn’t New – Yes, your device has been owned and used by others before you, but when you really think of it, who really cares until and unless the images turn out to be grainy? You can expect a few scratches and dents here and there. Unfortunately, no refurbishing service does extensive rework on the exterior of the camera. All work is mainly focused on the internal components to ensure that they work properly. You can’t really sell them again – expect to make a few hundred dollars if you’re lucky but don’t hope for a ton of cash. 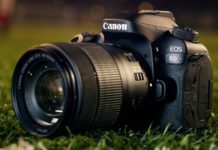 Is a Canon 70D Refurbished Worth the Purchase? Well, it is every man for himself! If the looks and the smell of a brand new camera matter a lot to you, go right ahead and splurge on your dream device. But if you want to save some cash, then there is nothing wrong with buying a refurbished camera. When the purchase is made from an authorized seller, your camera will function as it should and you will face no problems whatsoever. You would only have to a pay a little more attention to details such as warranty periods and the rework is done on your camera. Apart from this, you are good to go. Take a good look at the pros and cons and make an informed decision. 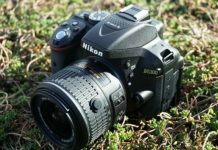 If the pros outweigh the cons, then there is no question that you should go for a refurbished camera. Previous articleNikon D3400 Bundle Deals Are What the Entry Level Market Has Been Waiting For! The Sony A6000 Refurbished, what you need to know. Zestpic.com is your #1 destination for photography resources and buying advice for beginners and professional photographers.